For decades there was nothing at all at Barangaroo besides disused shipyards squandering a prime location on the Sydney Harbour foreshore. But that all changed in 2012 when the redevelopment of the precinct commenced, and a world-class dining scene has emerged over the last two years as quality restaurant after quality restaurant opened its doors. Don’t know where to begin on your food tour of Barangaroo? 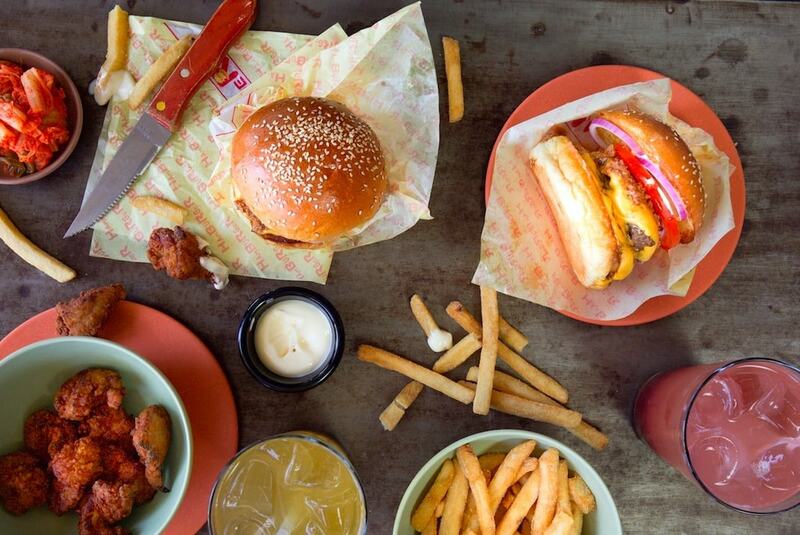 Sink your teeth into these 10 great eateries. 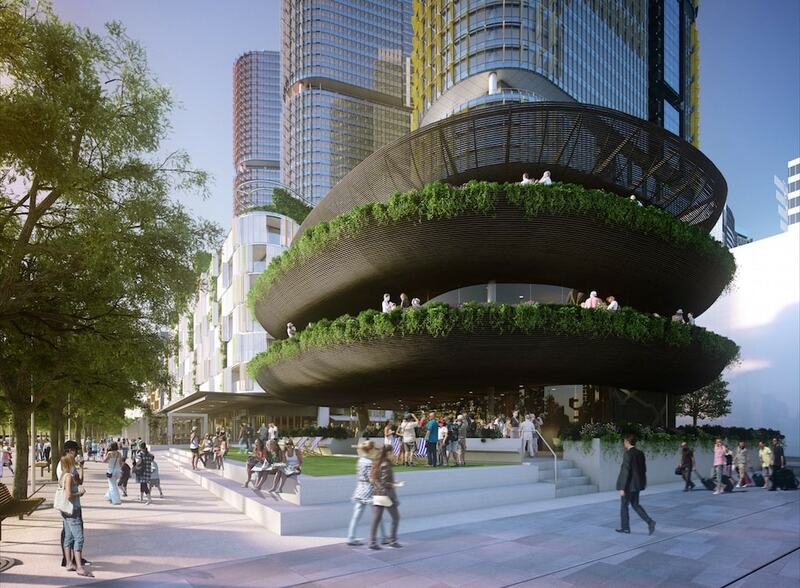 Mouths are already watering in anticipation of Barangaroo House’s opening this December, promising to become the “new capital of contemporary Australian cuisine”. 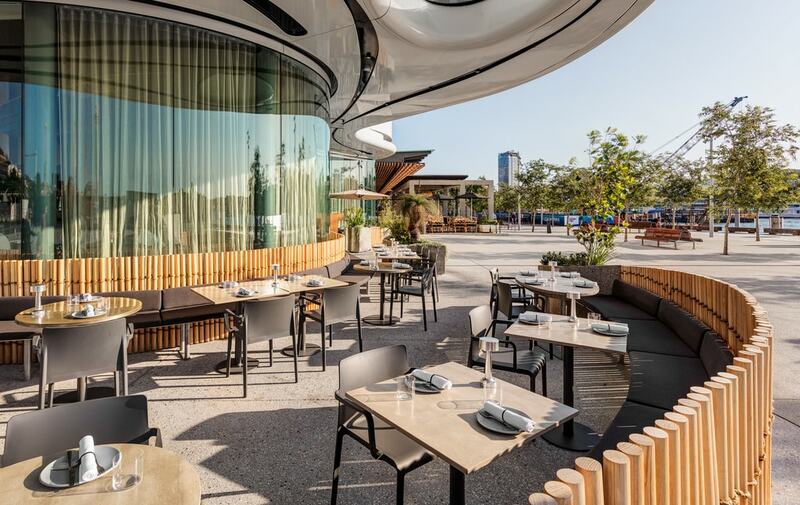 Celebrity chef Matt Moran — best known for Aria in the shadow of the Opera House — has teamed up with head chef Cory Campbell formerly of Melbourne institution Vue de Monde for a fine-dining experience in a stylish three-storey building overlooking the water. This casual Japanese burger joint is the sister venue of Surry Hills staple Bar UME, dishing up the same calibre of burger to Wulugul Walk, Barangaroo. The eponymous Ume burger — a classic beef, tomato, onion, mayo and cheese concoction that’s lifted to another level by a wagyu mince sauce — is not to be missed, nor is a soft drink from the vintage Japanese soda vending machine. When revered Copenhagen institution Noma opened an Australian pop-up in 2016, it occupied this patch of Barangaroo Avenue — so when Cirrus opened 12 months ago, it had seriously big shoes to fill. That clearly didn’t faze trusty duo chef Brent Savage and sommelier Nick Hildebrandt when they opened Cirrus, an elegant seafood restaurant serving share plates of crab and lobster with an expertly matched wine list. If you ranked Sydney’s culinary obsessions, pho would be close to the top of the list — and if you have fears of missing out on one of the most delicious Vietnamese noodle soups the Harbour City has to offer, then plan dinner at Phomo ASAP. 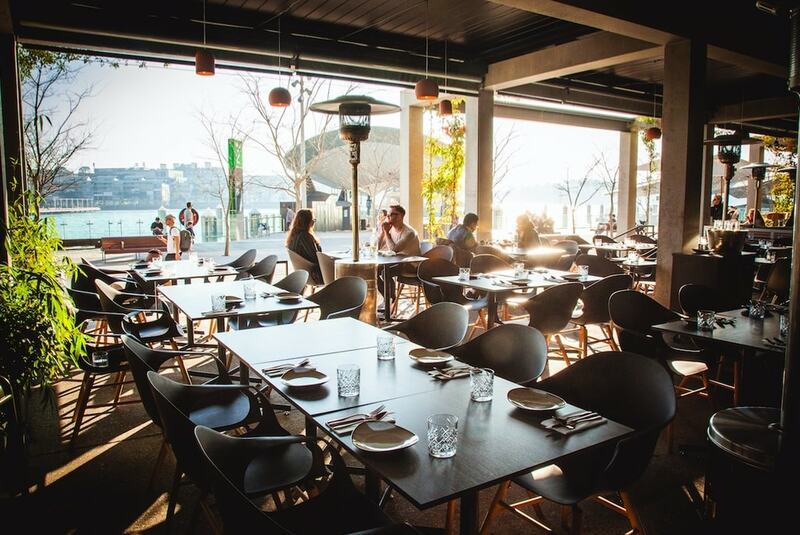 Vietnam-raised chef Sonny Nguyen came to Australia in 2007 to introduce lucky diners to his scrumptious 12-hour beef broth recipe that attracts a stream of diners to this waterfront Barangaroo eatery. 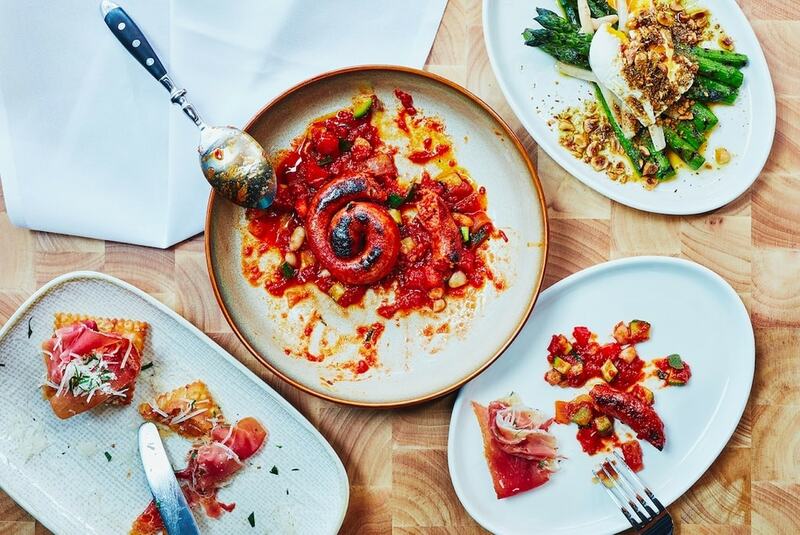 The third restaurant in the Tapavino stable has added a taste of Barcelona’s La Rambla to Wulugul Walk, dishing up share plates to hordes of happy diners craving some jamón serrano, marinated olives and a glass of sherry. Make sure you order the signature manchego churros topped with chorizo and spicy mayonnaise. Belles had been frying Melbourne’s most fingerlickin’ chicken before it migrated north to Sydney with this 130-seat space in South Barangaroo. The chook comes in five levels of heat — Southern, Medium, Hot, Really Hot and Really F**kin Hot — with a stack of sides (like mac and cheese, pickled veggies and roast yam salad) and sauces (such as blue cheese and peach BBQ). Owner Billu Singh has been one of the culinary stars of Sydney’s ‘Little India’ in Harris Park for more than 25 years, so it was about time he brought his iconic curry house into the city. Billu’s authentic flavours didn’t got lost on the 20km trip from Western Sydney to the Barangaroo precinct, with Spiced by Billu’s serving the same quality of North Indian fare the original is famous for. 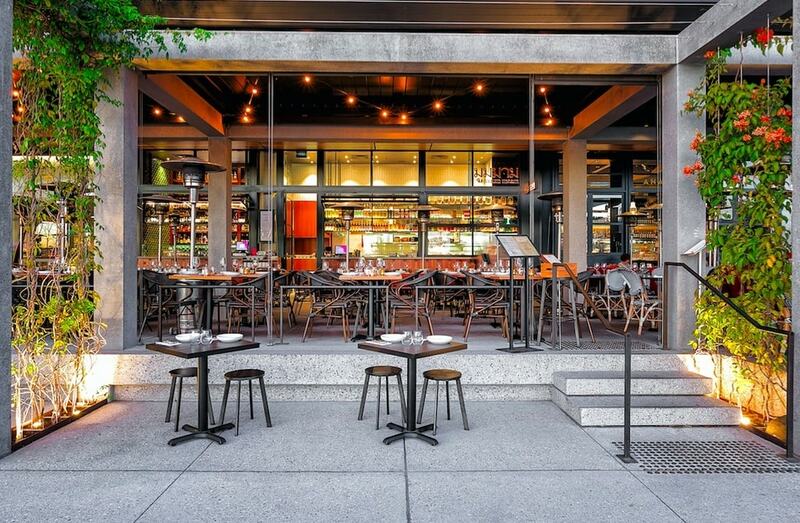 This restaurant describes itself as a fish bar with a green heart, referring to the commitment to sustainable seafood that owners Michael Milkovic and Michelle Grand-Milkovic are seriously passionate about. 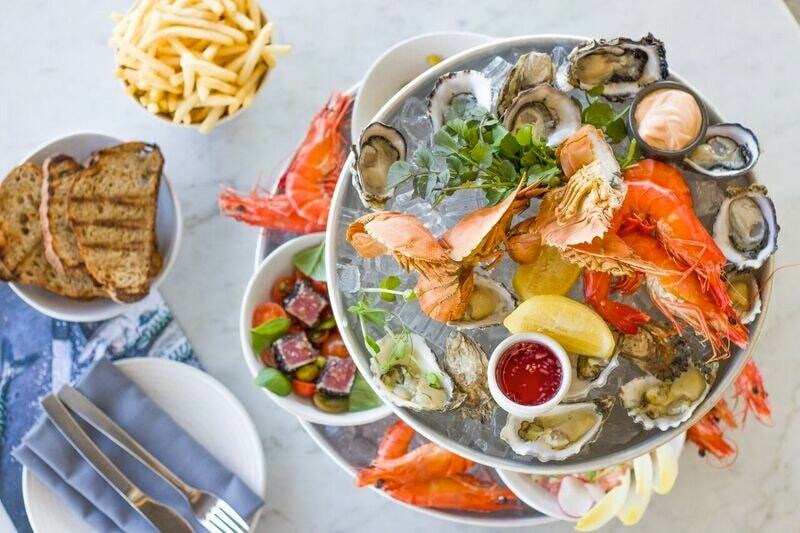 After starting out in Rozelle in Sydney’s inner-west seven years ago, love.fish has brought its huge selection of ethically sourced fish, oysters and crustaceans to the streets of Barangaroo, offering waterfront seating for 160 that suits the fruits of the sea on the plate. Sydney is peppered with hundreds of Thai restaurants, but very few are as modern, authentic and downright tasty as this Barangaroo favourite. ‘Muum Maam’ means ‘little glutton’ in Thai and that’s exactly what you’ll turn into when you peruse the menu, made up of street food fare for lunch then signature meals like crispy egg noodle beef curry and massaman veal ossobuco for dinner. Zushi has been serving some of Sydney’s most sought-after Japanese cuisine for a decade at locations in Surry Hills and Darlinghurst, so a Barangaroo offering was always going to be an instant success. Zushi blends traditional Japanese techniques with inventive modern ideas — the crispy sashimi tacos, seaweed-kale salad and deep-fried popcorn chicken bento box all illustrate that point.